The new Suzuki Burgman fuel cell scooter will be available in the UK within months. The zero emissions scooter is due to be unveiled at the Tokyo Motorcycle Show today. The scooter has been developed by Suzuki inconjunction with UK-based Intelligent Energy. The two companies previously teamed up two years ago to create the Crosscage fuel cell motorbike. The Burgman uses the same technology, but packages it in a more widely accessible form. 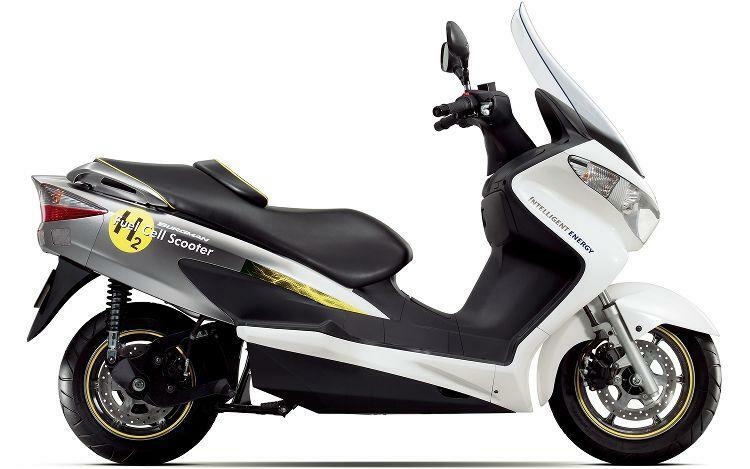 The scooter is fitted with a 70MPa hydrogen fuel tank (the highest pressure tank ever used) which the manufacturers say delivers quick refueling, good riding range and a robust frame for increased safety. The scooter uses the latest version of Intelligent Energy's unique and proprietary PEM clean fuel cell engine. 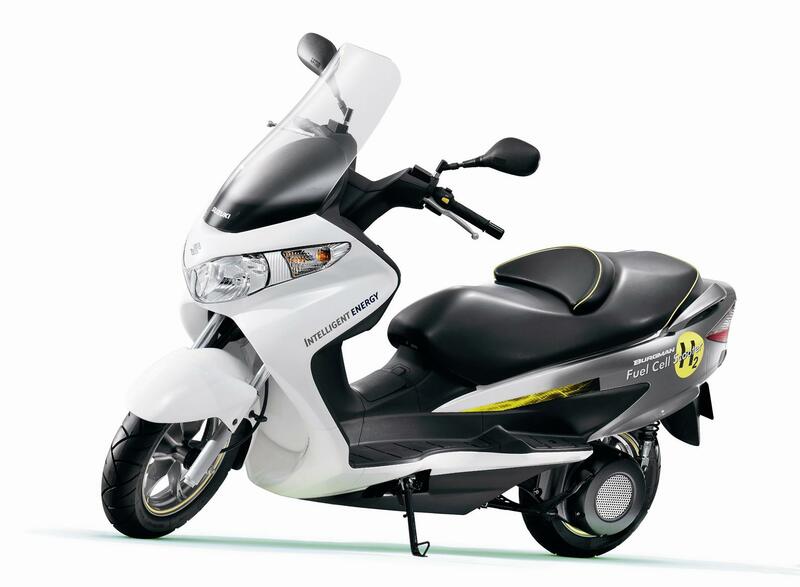 "The zero-emissions Burgman scooter is the latest product of the successful commercial relationship between Suzuki and Intelligent Energy", commented Dr. Henri Winand, CEO at Intelligent Energy. "Of course, these clean fuel cell engine powered motorcycles are not simply for motor shows, and can be widely available to everyone in the near future. With a mass market of about 40 million units per annum, there is a lot to go after. As part of this process, Intelligent Energy and Suzuki will continue to work on clean fuel cell powered motorcycles and plan to hold demonstrations of the fuel cell scooter in the near future".